With a history that stretches back to the Roman Empire and ancient Asia, radiant heating is not some newfangled idea. Instead, it's a smart concept that now, thanks to advances in technology, offers today's homeowners unprecedented comfort and efficiency. While the origins of radiant floor heating stretch way back into the mists of history, the technology has come of age only in recent years. 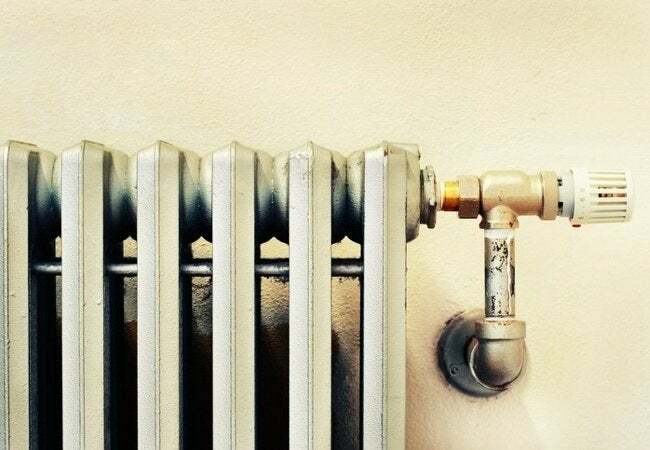 Today, it works as well as any other traditional system, if not better, and operates at least 25 percent more efficiently than forced-air systems, the most ubiquitous type of heating in the United States. 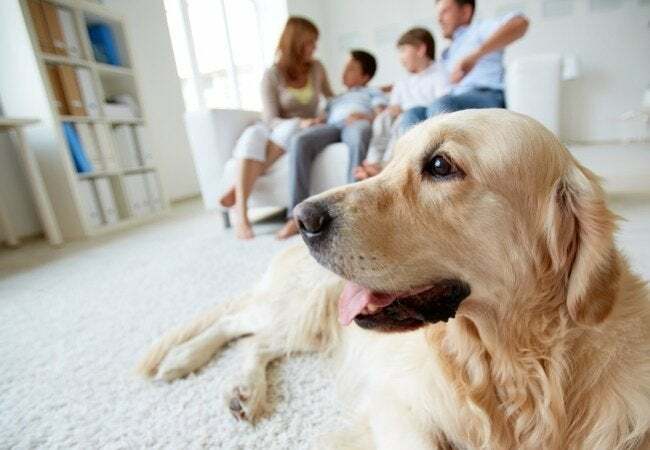 Increasing numbers of consumers are choosing radiant heating, not only for the energy savings it provides, but also for its indoor air quality benefits and its ability to free homeowners from the tyranny of radiators, baseboards, and vents. That said, many wonder why radiant heating isn’t in more American homes, especially considering its popularity abroad (in Europe and Asia, 40 and 80 percent of homes, respectively, are heated by a radiant system). Well, though it may now be a viable product, it didn’t start out that way. The very first radiant heating systems emerged in the Roman Empire. In the wealthiest citizens’ homes, the walls and floors were buttressed by slim chambers called hypocausts. Fires around the building fed heat into these hypocausts, which in turn heated the interior spaces of the home. Around the same time, on the other side of the globe, the Korean ondol system heated homes by means of cooking fires that transmitted heat from the kitchen to a series of strategically positioned stones. These stones would absorb the heat and slowly radiate it outward. Though primitive compared with the finely tuned, zero-maintenance radiant-heating products available today, the fact that the basic technology has been around for so long speaks to the simple wisdom of its design. In the United States, it was none other than the distinguished architect Frank Lloyd Wright who first introduced the concept of radiant heating to countless Americans. Of course, Wright was ahead of his time in more ways than one, so it was not until decades after his death that radiant heat finally came into focus. When environmental concerns came to the fore in the 1970s and 1980s, a diverse group of professionals and amateurs began testing out various nontraditional modes of building. In these experimental efforts, the principles of radiant heating were often aligned with solar power. A typical setup would put a concrete floor, painted a dark color, beneath a sunny south-facing window. Throughout the day, the sun would heat the concrete, then as night fell and temperatures dropped, the concrete would radiate heat back into the home. That worked fine for supplemental heat, but it could not heat a whole house through the winter season. 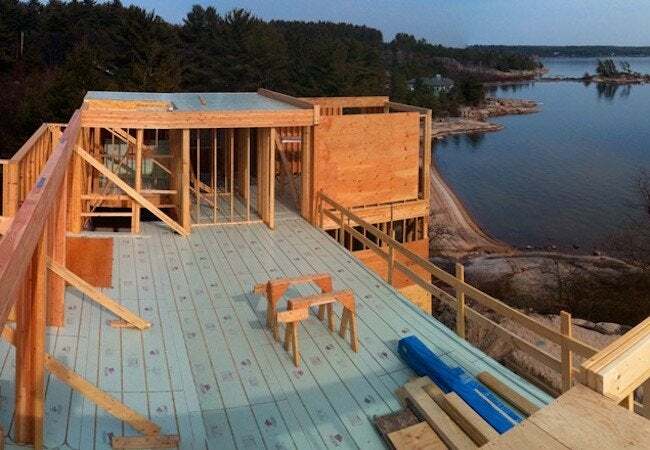 In the next phase of development, radiant heating took a big step toward becoming its own entity, an active system capable of providing heat with or without help from the sun. Ingeniously, hydronic tubes were set into the concrete flooring. Water heated by the boiler could be pumped through the tubes, heating the concrete in the absence of sun. The only problem now was the concrete. Whereas its thermal mass had proved an asset before, it was now making the system sluggish. Not only would the concrete take too long to heat up, but it would also continue to radiate for several hours after the thermostat had been turned down or off. 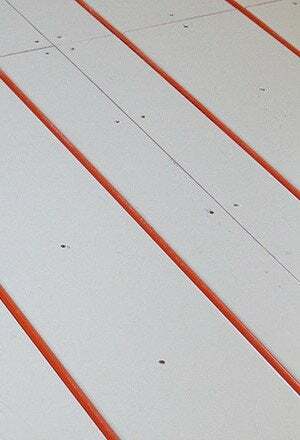 The answer, Warmboard found, was to combine hydronic tubing with lightweight, highly conductive aluminum. Compared with concrete, aluminum is a staggering 232 times more conductive. So when heated water travels through the hydronic tubing within aluminum panels, the metal swiftly transfers the heat to the home. The panels conduct heat so effectively that they can be used beneath any type of flooring, be it tile, hardwood, or even thick-pile carpeting. Broadly similar products exist on the market, but Warmboard stands alone in terms of efficiency and conductivity. Put simply, Warmboard requires the least amount of energy of any radiant system to maintain a comfortable temperature in the home. It’s estimated that Warmboard can hit the target temperature with water that’s 30 degrees cooler than a competing system would require to achieve comparable results. This efficiency means that your furnace doesn’t need to work as hard, and you save an additional 10 to 20 percent on energy costs—above and beyond what you’re already saving by choosing radiant heat over a traditional system. It may have taken a few thousand years to get right, but radiant heating has finally arrived. After a long, hard winter that saw record-breaking snowfalls and temperature lows, it’s only natural to look forward to the fairer weather ahead. But don’t let the arrival of spring distract you from the reality that, if you were uncomfortable at home during the cold months, you are likely to be uncomfortable again. And it’s only a matter of time before winter returns. So rather than wait around for the weather to turn foul once more, capitalize on the off-season to reassess your home heating. There may be no such thing as a perfect system, but, hey, it’s 2015: You deserve heating that operates efficiently to create consistent comfort. Has it been a while since you last looked into your options? Read on for an examination of three main issues that factor into home heat decision-making today. Warmth is warmth, right? Wrong. If you have radiator, baseboard, or forced-air heating, you know the thermostat only approximates the temperature in your home. It cannot provide an accurate reading, because the indoor temperature fluctuates, not only from room to room, but from one corner of a room to another. Typically, it’s warmest near the heating unit and considerably cooler farther away. So depending on where you’re standing or sitting, you can feel either too warm or not nearly warm enough. With forced-air heating, the most ubiquitous type in America, temperatures are particularly variable, thanks to the roller-coaster effect of the system turning on and off. When the heat kicks on, blasts of hot air rush into the space until the target temperature has been reached. Then the heat suddenly turns off, and it stays off until the room gets cold enough to snap the system back into action. Is any of this comfortable? Not really. If you want steady, even heat in your home, one option is to forego traditional systems in favor of radiant heat. The technology has been around for years—centuries, in fact—but only more recently has it become a viable whole-home solution. In this type of system, heat arrives, not via vents or standalone units, but from panels under the floor. Panels, each inset with hot-water tubing, lie under the floor material of your choice, delivering heat to the space above quietly, invisibly, and in a constant, enveloping way. Certainly, there are aesthetic advantages to a heating system that does not force you to decorate around bulky radiators or wall-hugging baseboards. Air quality benefits too, since there are no dust-spreading, allergy-exacerbating ducts at play here. But for homeowners who want warmth more than anything else, the reason to choose a radiant system is that its design and technology always ensure maximum comfort. In an era when energy costs were not so prohibitively high, it might have been fine to install an all-or-nothing system, one that offered no compromise between the “off” setting and full-throttle operation. Times have changed. Today, innovative systems allow homeowners to target different temperatures for different parts of the home. So if you’re sleeping in a second-floor bedroom, you no longer need to cover the cost necessary to keep the unoccupied first-floor at 70 degrees. Though it’s not always impossible to achieve zoned heating with traditional systems, newer technologies accommodate zoning from the get-go. Warmboard, a leading radiant manufacturer, designates a separate thermostat for separate zones, enabling customers to minimize household energy usage. What’s more: In a family with members who prefer different temperatures, zoning makes it so that everyone can get through the winter comfortably. 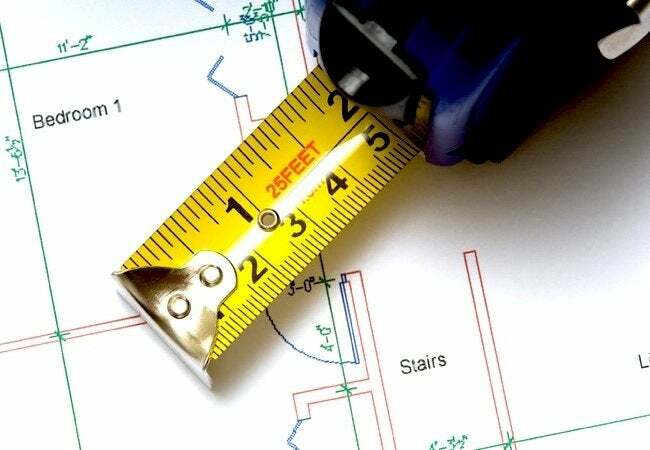 Insulation, weatherstripping, caulk—these are all valuable weapons in the fight for energy efficiency and lower-cost heating, but there’s only so much that sealing the home can do. In other words, you can insulate every wall and plug every air leak, but if your heating system consumes a relatively large amount of energy in the effort to reach and maintain a comfortable indoor temperature, you’re inevitably going to be stuck with sizable month-to-month utility bills. That’s one of the reasons that more and more homeowners are switching to radiant. Compared to forced-air heating, radiant systems operate at least 25% more efficiently, according to a study conducted by Kansas State University in conjunction with the American Society of Heating, Refrigerating and Air-Conditioning Engineers. In part, radiant excels in efficiency because, unlike forced-air systems with imperfect ductwork, the former isn’t vulnerable to heat loss. So whereas a forced-air furnace has to work overtime, consuming extra energy to make up for its losses, radiant panels waste virtually no energy when running. Not every radiant heating system maximizes homeowner savings. Certainly, the basic technology offers efficiency advantages, but individual system components make a big difference too. For instance, in some radiant setups, hydronic tubes (or electric coils) are embedded within a slab of sluggish concrete that takes hours to heat up and cool down. Seeing the limitations of concrete, manufacturers like Warmboard moved on to sheathing under-floor panels in highly conductive aluminum. Here, the heat responds to thermostat adjustments, not gradually, but more or less instantly. In addition, because aluminum transfers heat so effectively, the home boiler can heat the water for the system to a lower temperature than other systems would require. 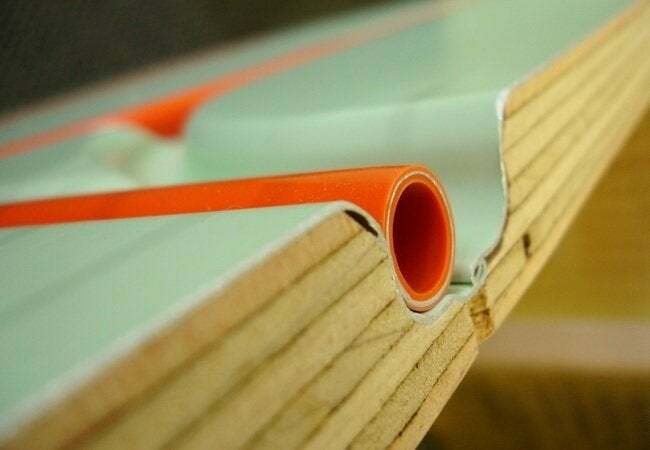 In the end, you can save serious money on home heating by choosing any radiant system, but among all manufacturers offering radiant products, Warmboard can save you the most. This article has been brought to you by Warmboard. Its facts and opinions are those of BobVila.com.